CSKA Moscow will attempt to sign Ahmed Musa on a permanent deal this summer. Nigeria international Musa re-joined the Russian side on loan in January, but it was understood there was no automatic option to buy at the end of the season. 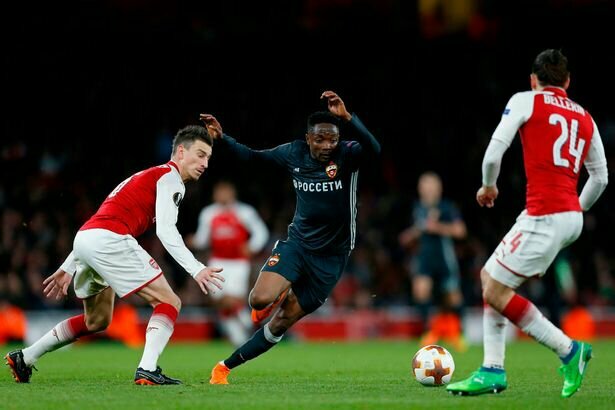 Musa has impressed for CSKA since his return, scoring seven goals in his 16 appearances, with his strike in a 2-1 win over Anzhi on Sunday securing the club’s qualification for the Champions League. Leicester are set to decide the future of all the club’s senior loanees, including Musa, who had not made a single Premier League appearance this season before being sent out on loan. If City are to sell, they will hope to recoup as much of the £16million they paid to CSKA in the summer after the title-winning season. “We will conduct this work, but everything will depend on the position of Leicester” Babayev told Championat. “We would very much like him to stay with us.